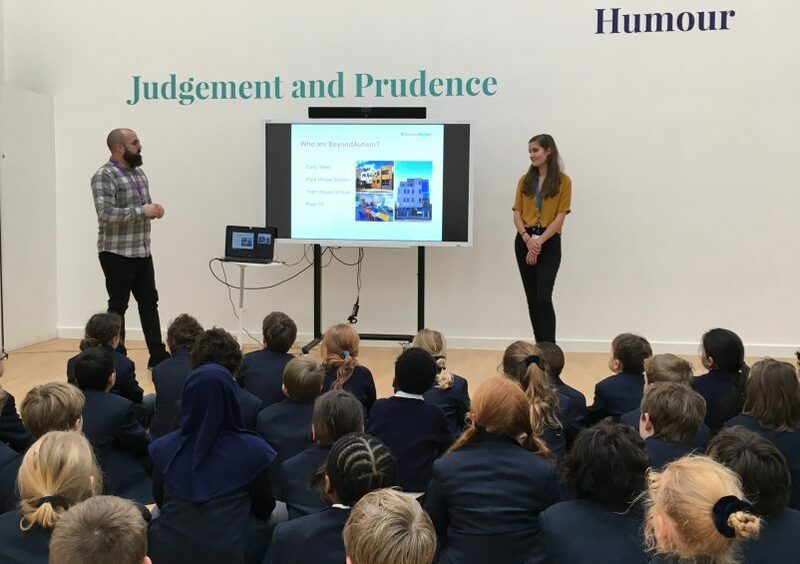 Yesterday, we were delighted to be invited to give an assembly to Floreat Wandsworth Primary School. Year 3 pupils at Floreat School are learning about ‘Character’ as part of their curriculum; the Teachers therefore requested that we talk to the pupils about giving to charity and serving their communities. In the assembly we discussed what autism might look like and how they can help support people with autism. The children answered a series of true or false questions such as ‘Autism is a difficulty we can’t see’ (true) and ‘People with autism can’t make friends’ (false). During the assembly, we also spoke about fundraising, the different ways to raise money, and the huge impact it has on the work that we do. Children from Year 3 will be getting creative and holding their own fundraising event on behalf of BeyondAutism in the near future! We are extraordinarily grateful for the connections we are making with schools in our community. If you know of a school that may be interested in having an assembly hosted by BeyondAutism, please do get in touch.